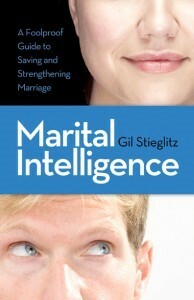 BMH Books’ newest publication provides biblical guidance and help for dealing with the only five problems that can occur in a marriage, according to the author, Dr. Gil Stieglitz. Marital Intelligence, subtitled “A foolproof guide for saving and supercharging marriage,” is based on thousands of hours of marital counseling and observation by the author. Stieglitz is a counselor, speaker, mentor, professor, and leadership consultant based in Roseville, Calif. He is currently a professor at Western Seminary, a district superintendent for the Evangelical Free Church of America, and a church consultant for Thriving Churches International. He also directs his own ministry, entitled Principles to Live By. Stieglitz, who for 17 years was pastor of the Twin Lakes Community Church in southern California, says there are only five problems in marriage: (1) Ignoring needs, (2) Immature behaviors, (3) Clashing temperaments, (4) Competing relationships, and (5) Past baggage. With each issue, Stieglitz carefully and consistently lays out biblical teaching on the subject, and then includes helpful anecdotes, solutions, and self-tests to assist the reader. Marital Intelligence is the perfect tool to help restore marriages as God intended them to be, either in personal study, in a mentor-directed relationship, or as a guide for a class or lecture series. Marital Intelligence is a 278-page paperback that retails for $17.99. ISBN number is 978-088469-265-2. To order, log onto bmhbooks.com, or call (toll free) 1-800-348-2756.